Blog - Quant Qi Harmony - National Cancer Day. 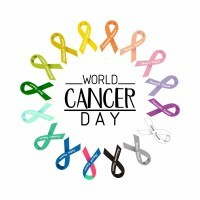 > Accueil > Blog > National Cancer Day. Medicine is making great strides in the treatment of cancer. Immunotherapy, a new hope in the treatment of cancer proliferations? The latest 2018 Nobel Prize in Medicine recognized the work of two immunology researchers, an American, James Allison, and a Japanese, Tasuku Honjo, for their discovery of cancer treatment by inhibiting negative immune regulation, a new approach to the fight against cancer.